Please join me for another Matthews Alive! in downtown Matthews, NC! JULPAK is proud to participate again in this blockbuster event. come on out and see the new colors for this fall at the JULPAK booth! You’ll be able to save on your JULPAK purchases and also get free gear with multiple purchases. Check it out! For three days, the streets will be closed and come alive with arts, crafts, music, and celebration. The Matthews Alive Festival is a Labor Day weekend celebration dedicated to the support of local non-profit organizations. 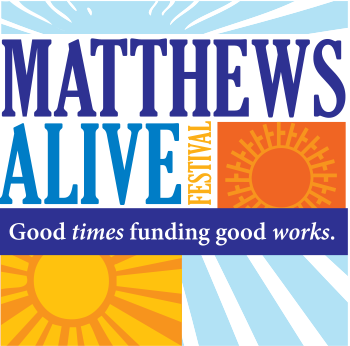 The 2018 Matthews Alive Festival will be held Friday, August 31st – Monday, September 3rd, Alongside the Board and key volunteers, community groups volunteer their time by working the festival areas. This dynamic produces a festival packed with family activities, great food, arts, and fantastic entertainment! Following the festival, the net proceeds earned at Matthews Alive go back to these non-profit organizations, in order that they may provide services to enhance the quality of life in our area.